The PHP project is excited and proud to announce the immediate availability of PHP 7.3.0. This latest branch of the PHP language and runtime brings new features and even more performance than before! THIS IS A DEVELOPMENT PREVIEW – DO NOT USE IT IN PRODUCTION! The linked Github PR was merged in 7.3. Flamerobin GUI (administration tool) and the PHP driver for it. This was tested on fresh FreeBSD 10 on a kvm-linux virtual machine. Download a compressed snapshot of the Ports Collection into /var/db/portsnap. logs and security2.fdb seems to be in /var/db/firebird. It seems that now the YiiFirebird extension is stable enough (please let me know it is not so) for merge in YiiFramework master repo. Now, the next step is to create the automated tests for this extension. Volunteers? Ideas? We need to add a “tests” directory for that purpose in our local repo before committing Yii master repo. Ricardo Obregón announced on YiiFramework that Firebird extension can be downloaded from the Extensions page. This is an updated version of the adapter originally posted by idlesign. It has been enhanced and tested with gii from yii 1.1.9. 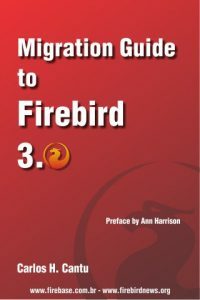 Do you want Firebird database to be part of XAMPP?